Finally, Platinum moves to current gen! 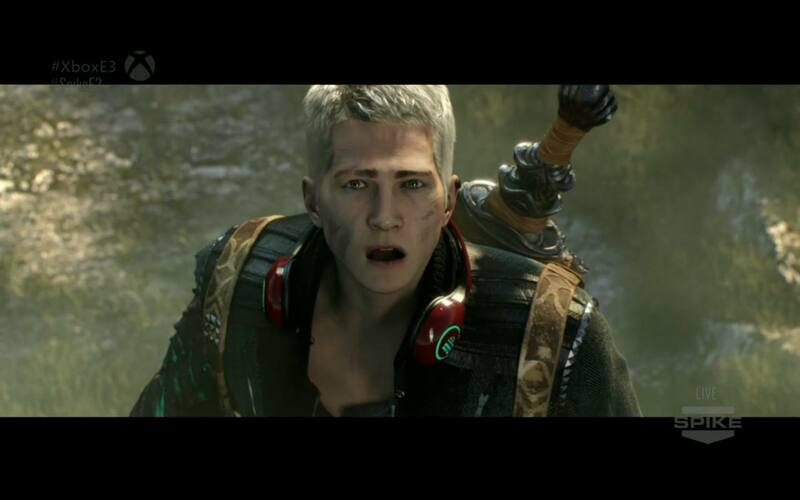 Platinum Games Scalebound Announced Microsoft E3 press conference exclusive to Xbox One. Massive scale, Kamiya promises action. Not quite sure they'll be able to push the system, since they didn't quite do this with the previous gen either, but it looks promising nonetheless. "The Last Guardian" for men, lol. Interesting that they are on an underdog machine again. Hope MS is giving them enough money to hire enough extra people to push the system. Also loved the headphones on the protagonist and is all that green symbolic of the Xbone? Can't wait for play screens and videos. I like him. Definitely better than Donte at any rate. Will be making a frontpage header from the third image pronto. I have bolded the interesting parts. PLATINUMGAMES AND MICROSOFT ANNOUNCE SCALEBOUND! PlatinumGames has an announcement to share with the world. Our newest title was just announced at E3, the biggest game show in the industry, currently underway in Los Angeles. 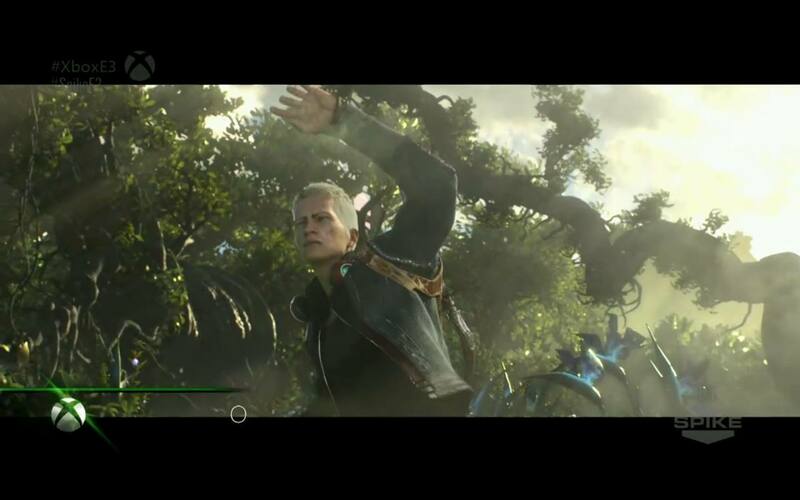 It is Scalebound for Xbox One. This is a title of firsts for us at PlatinumGames: our first title on the Xbox One and our first title as a developer in partnership with Microsoft. Our motto at PlatinumGames is to continue making games in Japan for gamers around the world. We are incredibly grateful for this excellent opportunity to work on a project with a publisher from the US, Microsoft, and we are very pleased to have made this announcement together. I want gamers to know that PlatinumGames is taking on the challenge presented by the current generation and will use the full power of the Xbox One as a cutting-edge console. I promise that Scalebound will be a game that gives users around the world the ultimate in surprises and smiles. We can’t show you very much yet, so please look forward to more information and the eventual release of the game! Thank you very much for your continued support for PlatinumGames. 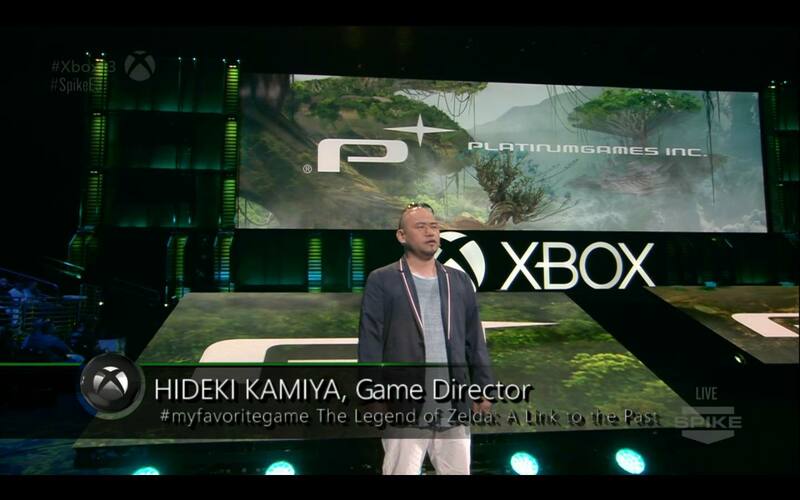 This is Hideki Kamiya, creative director at PlatinumGames. The day has finally come that I can announce my new project to everyone. I’ve created many original titles over the course of my career. Now I have a great opportunity to launch a new project with a new partner, and I’m excited to bring you a brand new game experience once again. The focus of my new game is the gigantic beast that reigns over the fantasy genre: the dragon. Dragons have a unique power to capture the imagination, and I’ve loved dragons since I was a child. I’ve always wished that I could create a game featuring this magnificent creature; now the time has come for me to realize my dream. I can’t share many details about the game yet, but rest assured that the development team and I are working around the clock so that we can show you more as soon as possible. For now, I ask that you let your imagination run wild while you wait. Dragons have lived in our fantasies for centuries. They are a common thread that weave between cultures and eras, linking us together under wings and flame; fear and awe. Scalebound is project that strives to live up to these ideals. A Japanese and American team working together to create the dragon game we’ve always dreamed of, but never gotten to play. Together, we can create something that pushes our team, and the action genre, to new heights. Our team considers it an honor to take up this challenge. Knowing how many of us have wanted this game forever, I can’t imagine how many of you have wanted the same thing. It’s going to be a wild ride and we can’t wait to take it with you. At least we now know that the creative producer doesn't know how to use semi-colons. I wonder what else he doesn't know how to do. Cosmozone wrote: A page or some more back, some western guy was named creative producer, so that's a strong hint that a good part of creative control is at MS. Would explain that the trailer feels so different. JP Kellams has been with Platinum since the Clover days... And he posts on GAF, he's a really cool guy. 神谷英樹 Hideki Kamiya wrote: Who else can do It? RT @woodenaeroplane Are you the director on this Scalebound thing? 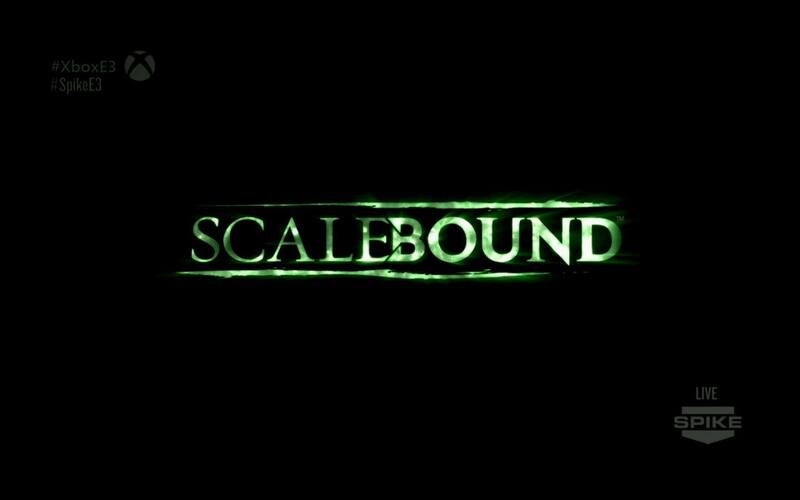 Today Microsoft announced Scalebound, an Xbox One exclusive by Platinum Games directed by Hideki Kamiya. The publisher also released a beautiful piece of artwork setting the mood for the game. You can check it out just above. Lovely, isn’t it? In addition to the artwork you can also find the official logo below. I wouldn't call it beautiful. If I didn't know I'd say it was a Western game. Runs on Unreal Engine 4, by the way. Looks like they didn't have the cash/know-how to create a worthy next-gen engine of their own, so they finally capitulated. Actually, I take that back. It's a nice image, it just that it screams "Western artist" to me, and not Platinum Games. I wouldn't be surprised if they had Western artists on the dev team, to create something that would appeal to a Western audience. Executive Phil Spencer says the game is shaping up well; next major reveal slated for Gamescom in August. Upcoming Xbox One exclusive action game Scalebound, developed by Japanese studio Platinum Games, is making "good progress," according to Xbox boss Phil Spencer. In a tweet, Spencer said, "Scalebound is making good progress; my first game with Platinum Games. I always learn working with new studios." As for when we'll get to see it next, Microsoft previously confirmed that Scalebound will be one of the company's featured games for its Gamescom briefing next month. Scalebound was announced during Microsoft's E3 briefing back in June 2014. Director Hideki Kamiya previously called it unlike anything he's made before. More recently, Microsoft creative director Ken Lobb offered a major tease about the game. "Scalebound is very real and very awesome," he said back in January. "And I think when people really understand what it is we are building, they're gonna be shocked. It is definitely big, AAA." The game was one of Platinum's first ideas after the company originally formed. Scalebound director Hideki Kamiya has revealed that the idea for the game has been percolating at Platinum Games since the developer's earliest days. The concept for game--"large-scale" encounters--remained the same over the years, but an earlier version had dinosaurs, not the dragons we know today. "After I left Capcom and we established Platinum Games, the kernel of the Scalebound idea was actually one of the first concept pitches," Kamiya told Metro. "The other one was Bayonetta, and we had a few others. For one reason or another we went with Bayonetta first, but at that point it was not even dragons; it was dinosaurs." 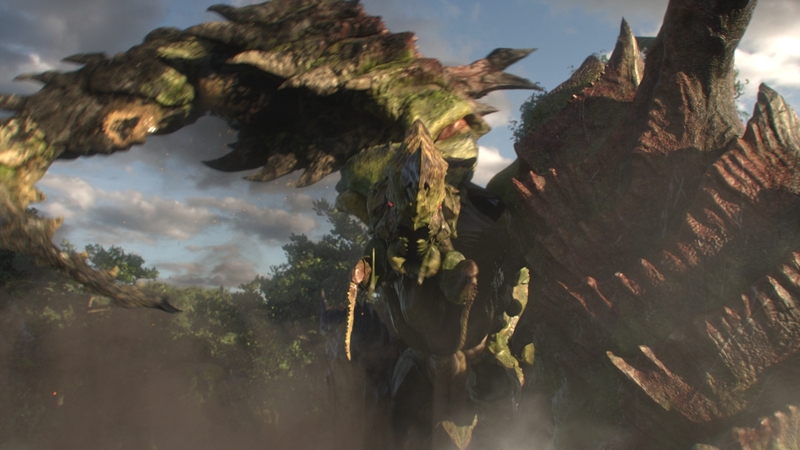 "But the common theme here is that I wanted to realize this game in the way that these two large-scale creatures were going at each other," he added. "And how can we make this work where you are not just the observer of what's taking place but helping as well." That was the original concept for what would become Scalebound, but Kamiya admitted that "it needed more work." The game was put back on the shelf as Platinum worked on Bayonetta, after which the studio turned its attention back to the game and made a major creature change. "So at that time we actually managed to pull together a prototype, and when we decided to make a prototype I switched over the subject matter from dinosaurs to dragons," he said. Kamiya and his team put together a new prototype, this one featuring dragons, but the project never got off the ground because Platinum didn't find a publishing partner. "So again, it went back into the closet," he said. With Scalebound stalled again, Platinum shifted its focus to The Wonderful 101 for Wii U. After that game shipped, Platinum put together a "refined" version of the concept for Scalebound and pitched it to Microsoft. "Fortunately, they were very interested, and they wanted to know more about it," Kamiya explained. 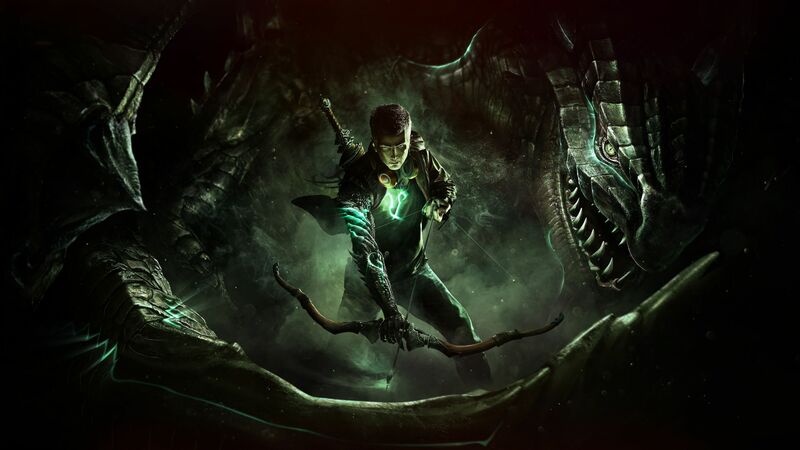 Scalebound launches in 2016 exclusively for Xbox One. At Gamescom earlier this month, Platinum confirmed that the game will have four-player co-op. Eddie Makuch wrote: Scalebound to "Show the Power of What Xbox One Can Do"
Bayonetta developer's upcoming action game also aiming to "heighten the value" of Xbox One overall. Upcoming Xbox One exclusive Scalebound, from Bayonetta developer Platinum Games, aims to "show the power of what Xbox One can do," according to director Hideki Kamiya. On the subject of meeting players' and publishers' expectations with every new project he works on, Kamiya told Metro that Scalebound is hoping to take full advantage of the Xbox One hardware. "So in terms of, say, Scalebound, which is an exclusive title for Xbox One, my ultimate goal and mission is that this will help appeal to, and also heighten the value, of not just my game but also the console, and show the power of what Xbox One can do," he said. Kamiya also said he hopes Scalebound proves to be a sound investment of players' time and money. "Towards the players, my commitment and my promise to them is that you're buying a game that we created and you're paying for it," he said. "I need to make sure that you get the value, and hopefully even more, for the amount that you've paid. So I think that very simple fact is what keeps us going, because our partners see the commitment that we put into the games that we're making." We hope you had a great New Year’s! 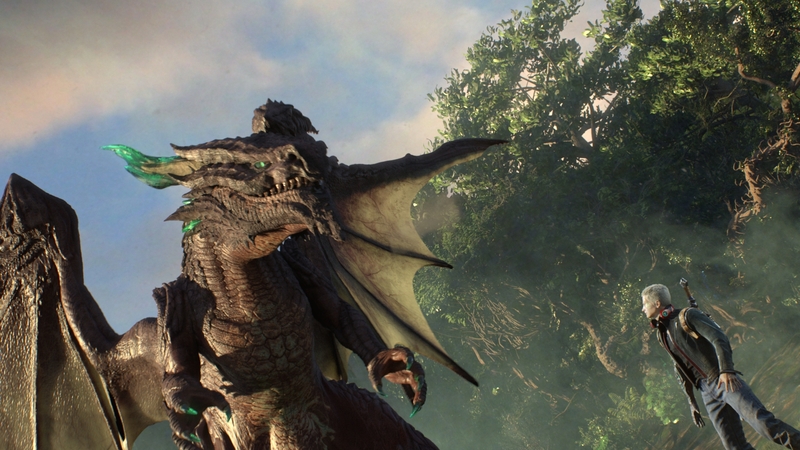 As we enter into 2016, we want to provide you with an update on Scalebound, the upcoming Xbox One-exclusive action-RPG that lets you fight alongside a fearsome dragon named Thuban. Development on the game is going well and we’re really happy with how it’s coming together. Scalebound is one of the biggest games PlatinumGames has ever created: an epic adventure filled with exploration and fantasy gameplay, inventive multiplayer, and action-packed battles on an unbelievable scale – all set in a beautiful and evolving world. It’s the game our team has always dreamed of making. In order to deliver on our ambitious vision and ensure that Scalebound lives up to expectations, we will be launching the game in 2017. This will give us the time needed to bring to life all the innovative features and thrilling gameplay experiences that we have planned. We know you’re excited to see more and thank you for your patience. Scalebound is a truly special project that’s been several years in the making, and we are very proud and inspired by all the work our team has done so far. We will be sharing more about our vision for Scalebound later this year and can’t wait to give you a closer look at the world of Draconis and the incredible creatures and experiences we’re building. Thank you again for your support and enthusiasm! We’re sorry to say that on January 9, 2017, Microsoft Studios announced the cancellation of Scalebound. We are very disappointed things ended up this way, especially since we know many of our fans were looking forward to this game as much as we were. Going forward, we will strive to continue delivering high-quality games to you, starting with NieR:Automata in March, and including products like GRANBLUE FANTASY Project Re:Link and LOST ORDER in the future. We will keep working hard to meet your expectations and we look forward to your continued support! It could be that they are rethinking this now that the pressure is on them to produce more exclusives. Of course my interest will plummet if it's not made by Platinum.